The Camerata Salzburg musicians are “full of revolutionary energy and utopic potential, uncompromisingly individual, daring, and modern – and yet classically stringent,“ as pronounced by the Salzburger Nachrichten in the occasion of the concert for the 60th anniversary of the orchestra. Camerata Salzburg was founded in 1952 by teachers and students of the Salzburg Mozarteum. The ensemble was able to quickly establish itself, with its Mozart Matinees soon becoming the cynosure of the Salzburg Festival. The founding father of the Camerata was conductor, music pedagogue, and musicologist Bernhard Paumgartner who had also been co-founder of the Salzburg Festival, and later went on to be its president. When founding the Camerata, Paumgartner sought out to preserve as well as to revive the ethos of classical and classicistic music. The distinct musical style of Camerata was formed over a period of six decades through their continuous collaboration with world-renowned musicians such as Bernhard Paumgartner, Géza Anda, Sándor Végh, Sir Roger Norrington, and András Schiff. Famous musicians, including Clara Haskil, Dietrich Fischer-Dieskau, Heinz Holliger, Aurèle Nicolet, Wolfgang Schneiderhan, Christoph Eschenbach, Philippe Herreweghe, René Jacobs, Franz Welser-Möst, and Peter Ruzicka performed with the chamber orchestra, with compositions covering a wide variety of music from string quartets for a small chamber group to romantic symphonies and 20th century classical works for a large orchestra. In the city of Mozart’s birth the orchestra is one of the habitués of the Salzburg Festival and the Mozart Week, offering concerts and operas alike. 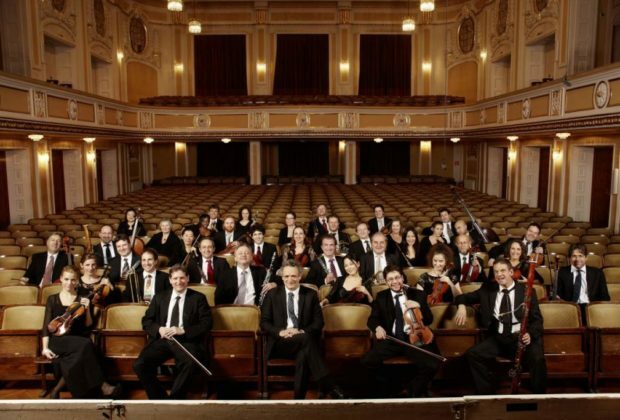 The orchestra regularly performs in venues such as the Konzerthaus Vienna, the Elbphilharmonie Hamburg, the Konzerthaus Berlin, the Festspielhaus Baden-Baden, the Festspielhaus Bregenz, and participates in the Carinthian Summer Festival, and the Haydn Festival in Eisenstadt. Touring the world, it played in the metropolises of Munich, London, Florence, Moscow, St. Petersburg, Beijing, and Tokyo, and in the festival cities of Aix-en-Provence and Lucerne. Throughout its six decades of its existence, Camerata Salzburg made more than sixty recordings, which have been honoured with many prestigious awards, revealing its unique art of music making. Its two complete editions of Mozart’s piano concertos with the Hungarian pianists Géza Anda and András Schiff, and also its complete recording of Mozart’s serenades, and divertimenti conducted by Sándor Végh are milestones in the history of classical recording.